Here is a sneak peak at the dates for the 2019 major event calendar. Although we will be adding many more dates to the official schedule, this at least provides a little insight into the multi-day events next season. So you can better plan your “big event” racing calendar, here are the specific weekends you can block out today on your vacation planner. First up will be the 49th edition of the NAPA Auto Parts Ignitor Opener presented by Peterson Chevrolet. Set for May 3-5, 2019, Firebird’s longest running event will once again be aligned with the Division 6 Lucas Oil Drag Race Series. The event will also play host to the NHRA Hot Rod Heritage Series with the AA/Nitro Funny Car class making their first of two Boise stops in the chase for the Heritage national championship. A tradition in western Idaho since 1972, August has long been home to the Pepsi Nightfire Nationals. Running August 8-11, 2019, the track’s milestone weekend will showcase the classes of AA/Funny Cars, AA/Fuel Dragsters AA/Fuel Altereds and Pro Modified. 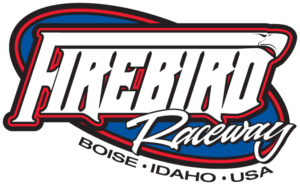 Additionally, the nationally-recognized Bracketeer Series will offer Firebird’s richest race of the season for racers expected from fifteen states and Canada. Our final major event of 2019 will be the NAPA Auto Parts Halloween Classic. The Classic XXVI returns October 9-13, 2019. The planning wheels are already in motion for what promises to be one of the most “fun” and “exciting” races of the season. We’ll certainly have many more dates and weekends to announce in the near future. We thought this would help in blocking your vacation calendar for upcoming season.